Are you motivated? Too frequently, we place importance on material possessions – money or the items it buys us – as the origin of our motivations. Instead, our focus should be on the accomplishment, objective, personal satisfaction to generate motivation. “Motivation” means different things to different individuals. One thing is certain, you can’t walk into a grocery store and purchase a jar of motivation. It has to develop from within yourself. Your brain needs continuous motivational input and support just as muscles need exercise and protein, engines need gasoline and regular maintenance, and plants need sunlight and water. People are the product of their thoughts and the purpose of motivational material is to develop the quality of your thoughts. Motivation is nothing more than encouragement. 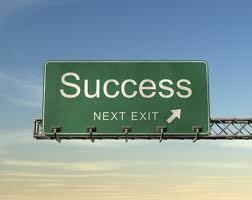 The highway to achievement is created with a goal. Embed that goal in your mind and meditate about it throughout the day. Take small steps in the direction of your goal each day, instead of occasional bursts of activity. The chief difference between an average person and one who is highly successful is the degree of their personal motivation. Motivation is the hidden power in the successful person’s arsenal and is a key ingredient for their success. Most are motivated or have the potential if they are attracted to and interested in the activity. Powerful motivation also stems from a deep rooted belief in what you are trying to do. It is strongest when it comes from your inner values. This creates a emotion of ENTHUSIASM which is essential in order to remain focused. Think about this, what comes first? The chicken or the egg? Motivation or action? The answer surprisingly is Action. First, we have to ‘prime the pump’ and the way is through action. People who tend to procrastinate confuse motivation and action.